Health care will be the major challenge to the federal budget in coming decades, with rising health costs accounting for nearly all of the expected increase in government spending relative to gross domestic product. Health care currently accounts for 16 percent of GDP, and that share is forecast to nearly double in the next quarter century. Spending money on health care is not bad, but wasting money is. Estimates suggest that a third or more of medical spending—perhaps $700 billion per year—is not known to be worth the cost. Wasting hundreds of billions of dollars on inefficient health care is a luxury we cannot afford. A bipartisan consensus has coalesced around the idea of modernizing the health system as a way of stimulating cost savings. Health care modernization involves four broad steps: investing in infrastructure; measuring what is done and how well it is performed; rewarding high-value care, not just high-volume care; and realigning consumer incentives to encourage better health behavior. This report analyzes how such reforms would affect the federal budget over time. It shows that health system modernization could increase productivity growth in health care by 1.5 to 2.0 percentage points annually starting in four to five years. The impact of such productivity improvement would be substantial. The federal government would save nearly $600 billion in health spending over the next decade, and $9 trillion over the next 25 years. Over time, these savings would more than offset the cost of providing insurance coverage to all Americans and put the United States on a path to long-term fiscal balance. Many of the problems in the U.S. health care system come from the antiquated way in which we deliver care. Most of what is done in medicine was developed in the past few decades, yet it is delivered in doctors’ offices that haven’t changed in decades and with payment systems designed 50 years ago. The result is flawed care: Many patients fail to receive adequate care, receive too much care, or receive care in the wrong way. Oversupply of well-reimbursed services. Most providers are still paid according to the number of services they perform rather than the quality of that care, which incentivizes doing too much. Failure of chronic care management. Primary and secondary prevention are not provided as routinely as they ought to be, or in settings that work for patients. Lack of performance data. Little is known about which treatments are best for particular patients and which providers are best at doing them. Insufficient competition in insurance. The insurance market for individuals and small firms often revolves around selecting healthy patients to insure rather than providing valuable care to the sick. Ineffective health system design. The wrong people often provide services (e.g., primary care doctors doing what nurses do better) or services are provided in the wrong way (e.g., surgery performed at hospitals with a very low volume of patients). Needless administrative complexity. Medical offices and insurance companies often have to hire extra administrative personnel to handle the complex paperwork that comes from dealing with multiple insurance companies and the uninsured. Inappropriate end of life care. Patient wishes about death are often overridden or unknown at the end of life. Infrastructure investments. The United States needs a better health care infrastructure. This includes investments in electronic medical records, research on comparative effectiveness, and community- and employer-based prevention initiatives for problems such as obesity and cigarette smoking. Measurement. Analysis needs to be performed on the characteristics of good quality care, including the best treatments and providers. The research should highlight high-quality providers and help low-quality providers achieve quality improvements. Payment system reform. Payment systems need to be reoriented away from paying for use and toward paying for value. This includes rewarding high-quality care, incentivizing primary care and care coordination, and bundling payments for episodes of care. Consumer involvement. Everyone needs to be in the system, and consumers need to be encouraged to seek out high-value providers and take care of their own health. 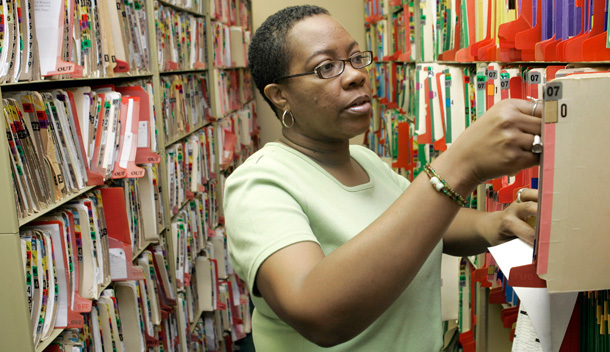 Personal health records need to become ubiquitous and tailored to personal situations. These changes will involve additional costs in some cases, and savings in others. Providing incentives for patients to take chronic care medications will increase spending in the short term because it will mean insuring the uninsured and selectively reducing copayments among those insured. But the savings will come down the road as people do not suffer disabling conditions as frequently and need less care. The ultimate question is how much the federal government can save and how this will affect the federal budget. Health system modernization attains savings by eliminating wasteful care, lowering the cost of providing services, and encouraging new and more efficient ways of providing care. There are several dollar estimates of the U.S. health care system’s inefficiency. Studies by Elliott Fisher and colleagues suggest that about 30 percent of the medical services provided in the United States are not associated with improved health. Even the care that is appropriate is often provided at a higher cost than is needed—by using higher-priced labor than is necessary, for example. Administrative expenses are also high, though the exact amount that can be saved is debated. Combining these sources suggests that the total excess spending may be as high as 40 percent of total costs. Other studies achieve similar estimates by comparing the United States to foreign countries. The McKinsey Global Institute, for example, concludes that the United States spends 31 percent more than expected on medical care, even after accounting for higher incomes in the United States. Additional savings may be possible because other countries are not completely efficient. A variety of sources thus place excessive spending at 30 to 40 percent of total costs. Eliminating waste is a one-time saving. The bulk of health care cost increases in recent decades result from the development of new ways of treating people and the diffusion of that care to ever more people. It is unclear whether health system modernization would affect the long-run growth of health costs. Reducing the emphasis on volume-associated payment and increasing the emphasis on good outcomes, for example, could increase the incentive to develop technologies that are more efficient and less costly, but that outcome is not guaranteed. Savings during the 25 years after major modernization efforts begin may be either one-time savings spread out over time or reductions in the trend rate of health cost growth. How rapidly will modernization bring about savings? A major issue is how rapidly such savings might be realized. There are several ways to provide an estimate. The first involves looking at past experience in medical care reform. The most important of these is the managed care era of the 1990s. Starting in 1993, employers placed great emphasis on cost savings in health care. They maintained such controls until about 2000, when physician and employee dissatisfaction led to significant loosening of managed care restrictions. The result was the first, and nearly only, instance of sustained cost reduction in U.S. medical spending. 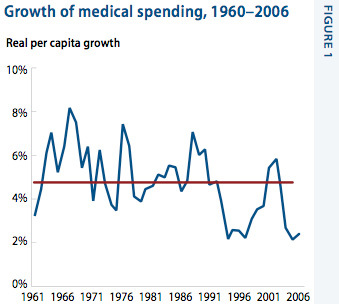 Figure 1 shows the increase in medical spending between 1960 and 2006. The growth of medical spending between 1992 and 2000 averaged 1.8 percentage points per year less than past estimates. The differential is even greater when accounting for rapid income growth—about 2.0 percentage points per year. The cumulative savings was about 15 percent. Most of this spending slowdown was associated with price reductions rather than quantity reductions, so it may not be repeated as rapidly. But it does demonstrate that rapid decline is possible. And even though the demise of managed care was associated with an increase in spending, much of the cost reduction that resulted from the managed care era remains today. Overall medical costs are lower now than projected in the early 1990s. A second way to gauge what is feasible is to look at other industries’ experience. Productivity growth in American industry was relatively low from the mid-1970s through the mid-1990s. Productivity growth in the private sector between 1988 and 1995, for example, averaged only 1.25 percent per year. Growth has been very rapid since 1995, however, averaging 2.4 percent per year. The more than 1 percentage-point increase in productivity growth provides some guide for the health care industry. The (lagged) effect of the computer revolution is one cause for the resurgence of productivity. Oliner, Sichel, and Stiroh estimate that 60 percent of the improved productivity performance is a result of information technology. The residual is a result of factors including greater competition and reductions in input costs. 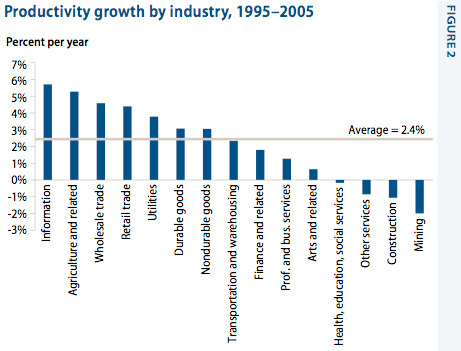 Figure 2, taken from Oliner, Sichel, and Stiroh, shows productivity growth by industry over the 1995-2005 period. Relative to the average increase of 2.4 percent, productivity growth ranged from 5.7 percent in the information technology-producing industry to -2 percent in mining. Health care, which is combined with education and social services, has a very low reported productivity growth rate of -0.2 percent annually. This is surely understated as health outcomes have improved and these are not adequately reflected in productivity. Still, there is potential for huge improvement. The industries with the fastest-growing productivity are those that use information technology the most. These include wholesale and retail trade, and durable goods manufacturing, in addition to the computer industry. This correlation is more than just observational. Oliner shows that productivity in IT-intensive industries has grown 1.5 to 2.0 percentage points above that of other industries. Health care modernization involves more than just IT, but that is an important part of it. Information technology provides a base upon which to erect managerial, staffing, and payment changes. One clear source of productivity improvement is producing the same product less expensively. Wal-Mart and other big box retailers pioneered this form of efficiency management. Health care could reduce layers of back office personnel through the same type of billing system harmonization used in retail sales. It could also shift tasks from more expensive providers (primary care physicians and specialists) to less expensive providers (nurses and physician assistants) since there are many services that don’t require all the training (and expense) of specialist physicians. Error reduction is another productivity improvement that could lead to significant savings over time. Hospitals could eliminate errors in the same way that Toyota pioneered the high-quality production of cars, through use of information and management system changes. Comparative effectiveness research will provide providers and patients with information about the best and worst treatments so that they can reduce errors and focus on higher quality care. Productivity growth in other industries that have adopted IT and past experience in health care indicate that productivity growth in health care, when it occurs, will increase 1.5 to 2.0 percentage points annually. This is also consistent with Hillestad, who suggests that productivity improvement of 1.5 percent per year is reasonable. Improved productivity may show up as less spending for the same amount of services or more services at the same level of spending. The former is a clear cost reduction and so is the latter, if the services are provided to the uninsured or underinsured, which would help to meet the national goal of universal coverage at an affordable price. Other productivity improvements might have a smaller effect on long-term costs. For example, increased use of preventive care may just delay the onset of costly illness, not reduce spending permanently. But this is unlikely to erode all of the efficiency gains as studies suggest that prevention saves money in the elderly. The IT-led improvement in productivity across the economy took some time to occur. Spending on information technology was rapid throughout the 1980s, and yet productivity growth did not surge until the mid-1990s. The lag between system change and productivity improvement in health care is unlikely to be as long. Many of the key technologies are in place, such as the Internet, and the organizational complements to information technology are known. Still, there will be some lag. Part of the necessary infrastructure was put in place with the information technology funding approved in the American Recovery and Reinvestment Act in January 2009. If additional steps regarding payment reform, prevention, and coverage expansions are enacted in summer 2009, cost reductions might occur as soon as four or five years down the road. Reductions in health spending will affect the federal budget in four ways. It will decrease budget increases in the Medicare, Medicaid, and SCHIP programs, which currently account for 4 percent of GDP. It will also help increase revenue for the federal government. Companies will have less tax-exempt compensation as their health insurance costs decrease. And individuals will become more productive if they are healthier, which should increase earnings and tax revenue. Health system modernization should reduce Medicare cost increases. I estimate the reduction to be 0.5 percentage points per year below the CBO forecast in 2011 and 2012, and 1.5 percentage points per year below the CBO estimate starting in 2013. The slower start reflects the need for some time for systems to change. Cumulative savings in 2035—25 years into the program—should equal 28 percent of baseline spending. Modernization would also bring about savings in the Medicaid and SCHIP programs. Cost increases in SCHIP and the acute care part of Medicaid are modeled as 0.5 percentage points per year lower than the CBO forecast in 2011 and 2012, and 1.5 percentage points per year lower starting in 2013. Because Medicaid payments to providers are so low, states would likely use all of the savings from modernization through 2012 to increase payment rates, with no reduction in federal spending. Long-term care costs should also fall with system modernization—particularly as better acute care leads to less use of Medicaid-funded long-term care—but it will likely experience a smaller reduction. This report assumes half the reduction seen in acute care cost increases. Private insurers will likely realize the same savings as Medicare: 0.5 percentage points per year in 2011 and 2012, and 1.5 percentage points per year beginning in 2013. This reduction in premium growth will affect federal revenues because of the employer-provided health insurance tax exclusion. Federal income tax revenue is currently reduced by nearly $120 billion annually because employer-provided health insurance is not included in income for tax purposes. A less rapid increase in private insurance premiums will slow the loss in federal revenue from the tax exclusion. Creating more insurance competition by grouping individuals and small firms into larger insurance pools will also lead to lower administrative spending in insurance, which should reduce the cost of private insurance administration from 12 percent of the average insurance company’s total costs to 9 percent. These lower insurance costs will be passed on to employees in higher wages, which will result in greater tax revenue. There are further savings if people are healthier and thus more productive at work, although the lack of data on this topic makes it impossible to quantify the effect that it has on the federal budget. More productive people pay more in taxes and collect fewer benefits than less productive people. Mental illness and substance abuse are major causes of low productivity at younger ages, and heart disease and obesity adversely affect productivity for the near elderly. Figure 3 shows the change in federal spending on Medicare and Medicaid relative to GDP that would come about with health care modernization. The top line in the figure represents baseline spending. 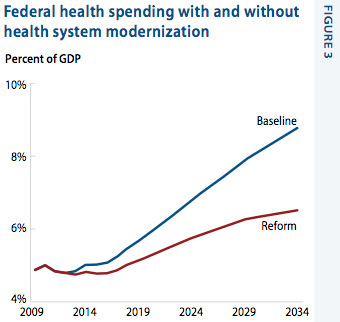 The lower line represents spending with health system reform. The time paths become increasingly divergent over time. Where baseline estimates project Medicare and Medicaid spending to rise to nearly 9 percent of GDP by 2035, spending in the reform scenario is only 6.5 percent of GDP. Savings are relatively small during the first five years—$94 billion total, $86 billion in present value. The 10-year total is $585 billion in undiscounted savings and $481 billion in present value. Savings in the long term reach in the trillions of dollars, reflecting Medicare’s large unfunded liabilities. Of course, health care modernization is just part of a broader reform initiative. Other areas of reform would bring even more savings. For example, President Obama’s budget proposed reducing the cost of the Medicare Advantage program by equalizing payment rates with Medicare. Those savings—$177 billion over the next 10 years—are in addition to the savings considered here. There is also spending associated with these initiatives. The major item in new spending is the cost of subsidies to guarantee universal coverage. The costs of this are not modeled explicitly, but are surely greater than the savings from health system modernization over the initial 10-year window. Health care reform will require additional revenues in the short run. Over the longer-run, however, health system savings are greater than most estimates of covering the uninsured, and reform should be able to pay for coverage expansions as well as contribute to long-run deficit reduction.